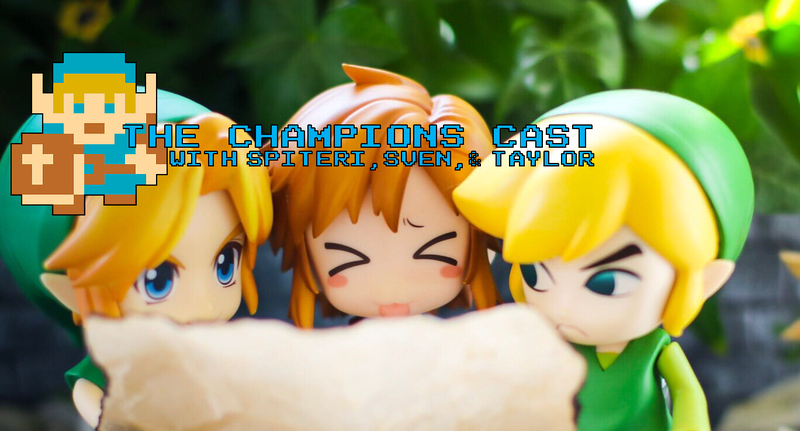 Getting Dangerous With Captain Dangerous in The Champions’ Cast – Episode 9! Welcome back to the Cast, everyone! This week is a week full of special appearances as everyone but myself went on a luxurious vacation, leaving me to do all the hard work (what else is new I tell ya!?). Luckily for me, I was able to wrangle up Zelda Dungeon video maestro and co-host of Hyrule Compendium Gooey Fame to help me co-host a very special episode with a very special guest: Captain Dangerous! Captain Dangerous, aka Dangerous Pixels, aka Kyleigh to her friends, is a shining light of positivity in the gaming community, mostly known for her ridiculously adorable picture featuring all sorts of Nintendo Nendoroids and amiibo! Kyleigh opens up about her work, what got her started, what motivates her, her favorite Zelda game, and more! Who would Captain Dangerous marry first, Zelda or Kirby? How many times can Andy mispronounce ‘Nendoroid’? How much of an upgrade is Gooey over Taylor? It’s all here in Episode 9!